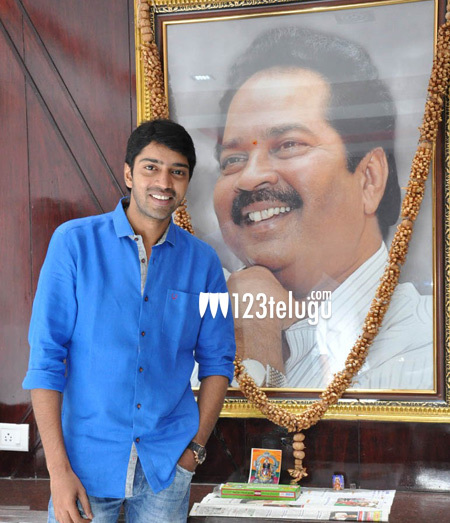 Comedy King Allari Naresh, is back with yet another entertainer in the form of Brother of Bommali. Moal Gujjar and Karthika Nair play other lead roles in this film which is up for release this Friday. On this occasion, we caught up with Naresh for an exclusive interview. Let’s see what he has to say. Q) Firstly, How did this project shape up ? A) Vikram Raju, who worked with me on ‘Siddhu from Srikakulam’ narrated me the story line. I liked the funny brother and sister angle in the story, and asked him to develop it further. Once I heard the entire story, I went ahead with the project. Q) Tell us about Karthika’s role in the film ? A) She plays my twin sister, and is a complete tom boy in the film. Her character is quite aggressive and gets me into trouble all the time. She has done a wonderful job and will entertain you thoroughly. Q) After hearing the script, didn’t you think that the sister’s role will dominate you completely ? A) No! I was very clear in my mind right from the start. Even though her character is quite aggressive, I am the key element who faces trouble and drives the entire film. We complement each other quite well in the film. Q) Whose idea was it to name Brahmanandam’s character as Kona Venkat ? A) It was Brahmanandam’s idea to name himself Kona Venkat. Initially we had named his character something else, but as he suggested this name we went ahead with it. Q) What are the major highlights of the film ? A) Karthika’s tom boy character and the situational comedy between me and Brahmanandam are the major highlights of this film. Q) Tell us about Chinni Krishna, your director ? A) It was his idea to cast Karthika as my twin sister. Chinni has done complete justice to he film, and will entertain you in a big way. Q) You have been mostly doing spoofs in your films. Don’t you think you have lost out on your style of comedy ? A) Yes! I agree to it completely. After the success of Sudigadu, everyone forced me to have spoofs in my films, and I couldn’t say no. But in this film, there are no spoofs and only situational comedy will take center stage. Q) Some of your previous films did not click. How is this film going to fare ? A) I have learnt something or the other from all my previous flop films, I have stuck to the basics in this film and will entertain you right till the end. Q) What are your future projects and When will you direct a film? A) Bandipotu is currently on sets and so is a film with ‘A’ TV. I am currently scripting my directorial debut and it will happen in 2017. With that we ended our interview and wished Naresh the best of luck for his film.